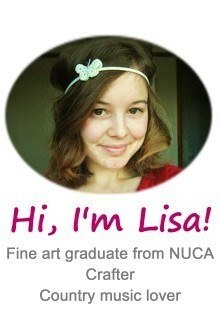 That's right, after four years of The Craft-Arty Kid I feel I've out-grown the name - or at least I'm trying to! It's basically the same blog with a different name and address. I've imported all of the posts from this blog to the new one so we can just pick up where we left off. 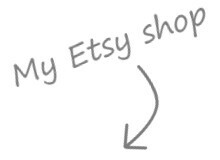 The reason I've chosen to start a new blog instead of just changing the name of this one is that The Craft-Arty Kid has been linked to in a lot of places and I didn't want those to become dead links. It does mean I will lose the followers I've gained on this blog, but I figure that if you are an active reader of this blog then you will follow me over to the new one. Choosing a new name was not an easy task. A lot of the names I thought of were already taken by blogs that hadn't been updated in years, which was very frustrating. Public service announcement; if you have a blog that you haven't updated for years and don't intend to, delete it to free up the name for someone else! So pop over to Always Arty and, like you should always text a friend to let them know you got home safely, perhaps you could leave a comment to let me know you got there. I'd also be interested to know what sort of posts you like reading from me, and if there's anything you want to request for me to blog about. ...had my first week at my new job. 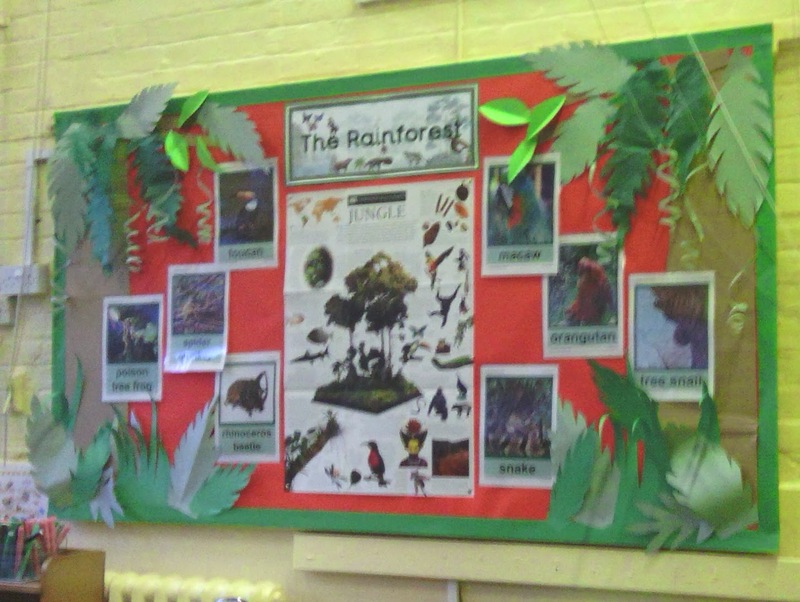 I'm a teaching assistant at a primary school and my first task was to decorate this display board. I am a master of sugar paper. The staff were very impressed. Well, I do have a Fine Art degree. 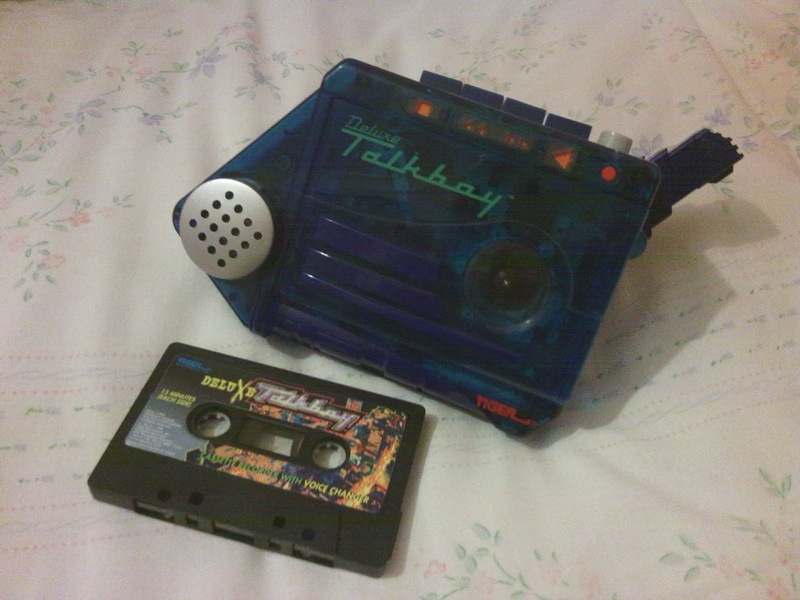 I spent a lot of time sorting things in my bedroom this week and I came across my old Talkboy! You know, like Kevin has in Home Alone. And even better than that, I found the cassette tape that I used with it. One side starts with me and my friends, at I think middle school age, doing little skits and then I must have just left it recording when we were hanging out practising a play by the sounds of it. The other side is all me and my sisters doing various radio interviews as different characters. Between these are little 'sponsor messages' where I would switch to the high pitch setting and sing made up jingles. Then right at the end is a recording of my oldest sister - unknown to her - singing in her bedroom. I do remember standing right outside her door to catch her singing on tape. Did anyone else have similar childhood shenanigans? Today I wanted to share a few ways that I'm trying to be more organised going into 2014. The end of last year was very busy for me with craft fairs, exhibitions, work, finding a new job and Christmas, so there was a lot going on at once and a lot to remember. I've modified the space around my laptop to help me keep track of what I'm doing. To the right of me as I write this is my locker. On the front I've printed out a calender of the month. I started doing this when I got the job at the care home as I was working shifts which varied week to week. Now I work the same three days every week - as shown in pink - but it's still useful to be able to glance at the dates. I have a diary that I keep in my bag but when I'm at my computer I don't want to have to get up and go looking for it. When it starts getting to the end of the month I print out next months calender and keep it underneath. I cleared some space on the other side of my locker for to-do lists and other scraps of paper with important information on that I would otherwise lose. These are held on with more washi-tape style magnets, like the ones I made here. To my left is a storage box that is sort of my 'in-tray'. Since I use high-lighter pens on my calender I needed a good way to store these cool syringe pens my sister gave me. I wove white elastic through the box, tying a knot in each ends and then each pen slots in. I put a cardboard tube in one of the corners of the box so I have a specific place to keep pens and pencils. Again, I don't like having to get up to look for a pen. And then I have my glasses and a pack of sticky notes which are always useful. Do you have any tips of how you stay organised? These were one of the gifts we gave my Grandad for Christmas. Earlier in the year he had got all his old cinefilms digitized and we received copies of the files. I love watching my Dad's speech at my parents wedding. He does not. When I started putting all my videos on to DVD collections my Mum thought it would be a good idea to do the same thing for my Grandad with his videos. We grouped the videos into four categories and then I started the task of burning them onto DVDs. This took a long time as the files are really big which slowed down the computer programme and their format doesn't work on my laptop so I had to use my Mum's when she wasn't busy. But I got them finished before Christmas. I designed the DVD covers using stills from the videos and listed all the clips on the back. My Grandad loved them and we watched the disc with family Christmases on Christmas afternoon. ...had my last shift working as a 'beverage assistant' on New Years Day. 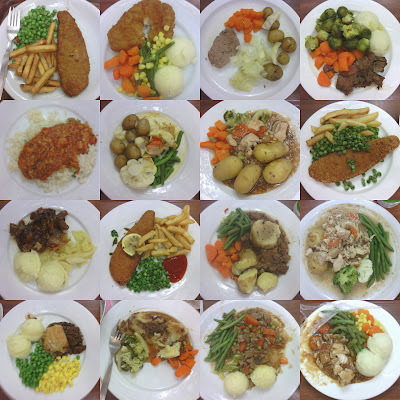 During the three months I had this job I got into the habit of taking a photo of my dinner - provided by the care home - as long as there was noone else in the lift with me. My friend kept telling me to get Instagram to make use of this habit but that's too much of a commitment! Instead, you all get to see a selection of the collection here. I start my new job on Monday. I'll be a teaching assistant at a primary school. I think we can all agree that I'm better suited to this job then washing up for 10 hours a day. Also this week I did an awful lot of shopping. Mostly to buy new school-appropriate clothes, but I also popped in to Hobbycraft as I needed some more paint. I made use of their 3 for 2 offer on canvases and bought 4 pretty big ones. I'm a fine art graduate! AND I'm 23! Our decorations are all down now, how about yours?